If you’re one of the millions of Americans affected by sciatica, you know how painful this condition can be. 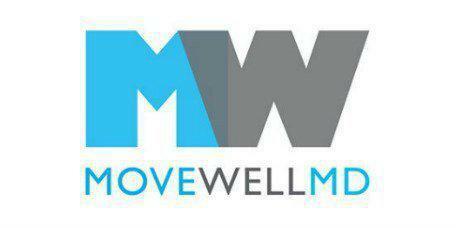 The staff at Move Well MD treats sciatica patients in the financial district in New York. They work with you to develop a tailored treatment program to relieve your pain and address the underlying causes of your condition. Schedule an appointment by phone or online today. The term “sciatica” refers to the symptoms that result from compression of your sciatic nerve. This giant nerve, the longest in your body, runs from your lower back through your buttocks and thighs and all the way into your toes. If it gets pinched or damaged, the pain can materialize at any point along its length — a slipped disc in your lower back can lead to pain in your thigh, for instance. People usually describe their sciatica pain as sharp or searing, rather than throbbing or dull. Typically, sciatica pain begins in the lower back or buttocks and radiates downwards into your calf and sometimes as far as your foot. You tend to feel it in one leg, not both. Dr. Ben Gruen works with you to pinpoint the cause of your symptoms, which vary from case to case. One of the most common causes of sciatica pain is irritation of the sciatic nerve by a herniated or slipped disc in the lumbar spine. Additionally, sudden weight gain (as in pregnancy) can put extra pressure on the lower back and cause sciatica. Some people find they can alleviate their sciatica pain with over-the-counter anti-inflammatory medications, exercise (including stretches), and the use of heat or ice packs. However, if your pain is severe or persists for more than a few days, or if you have significant numbness in your legs or feet, consult a medical professional. See a doctor immediately if your pain is accompanied by bowel or bladder incontinence. Dr. Gruen treats sciatica pain with a range of nonsurgical techniques, depending on your individual needs. He develops a personalized treatment program to help alleviate your pain, restore your mobility, and prevent any permanent damage. He also helps you identify lifestyle changes — such as improving posture or reducing time spent sitting — to prevent future flare-ups.